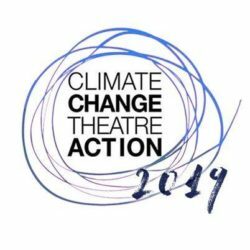 Arizona State University is joining Climate Change Theatre Action in promoting awareness of climate change through the power of storytelling and demonstration of science. Actors from the Acting Concentration in the School of Film, Dance, and Theatre in the Herberger Institute for Design and the Arts will offer three staged readings. Each play is matched with a scientist/researcher from ASU’s Biodesign Institute in order to illuminate the material and their related research. We will be joined by executive director of CHISPA, Masavi Perea, a local leader for climate change awareness and voice for Latino communities. Did homo sapiens cause their own demise, or evolve into the next species? HOMO SAPIENS, written by Québécois Chantal Bilodeau, features Corey Reynolds and Jillian Walker, partnered with scientists Carlo Maley and Athena Aktipis. Directed by Rachelle Dart. PENGUINS, written by graduate of the University of Queensland Elspeth Tilley, features actors Johnathan Gonzales, Victor Arevalo, and Nick Freitas performing penguins who evaluate scientists Caroline Householder and Tara Scanlon in a comical interpretation from the penguins’ view. Scientist Arvind Varsani will be partnered with this piece, directed by Professor Sandra Crews. SINGLE USE, written by Jamaican born and Canadian raised Marcia Johnson, features actors Fay Schneider and Dirk Fenstermacher as they stumble through an awkward first date in which the couple’s values clearly do not align. Scientist Charles Rolsky will be partnered with this piece, directed by Professor Micha Espinosa.